(Back Row from left to right): (7) Ricky Tait, (10) Michael (Logey) Logue (Deceased), (8) Martin (Fari) Sargent, Kieth Green (Manager/Coach), (13) Patrick Morrison, (12) Trevor (Percy) Duffus, (11) Julian (JT) Tait. (Front Row from left to right): (9) Tony (Sinners) St Juste (Player/Coach), (5) Snowdon (Danny) Reid, (4) Norman Samuda-Smith, (6) Chris (Daddy) Mortlock. This first issue is all about me, where I come from, how I started writing plus all the publications I have been featured in thus far. Over the coming months. I’ll be hooking up with a trailer-load of talented writers, artists and entrepreneurs who live around the world and give them the opportunity to voice what they are writing, making, selling, performing, and doing. Ok – Why call it Panther Newsletter? – Well back in the day from the mid 1970’s through to the mid 1990’s, I used to play semi professional basketball for a club Small Heath Panthers, (Photo above; I’m wearing the number 4 shirt). All the team members grew up in the same area; inner-city Small Heath in Birmingham. We went to the same schools, played basketball for the school team, knew each other’s families, we were a tight-knit community. After we left school in 1975 and 1976 respectively, in 1977 we decided to form a basketball club to play in the West Midlands Basketball League. We believed it would conquer our boredom of unemployment and give us a sense of purpose. We were a very successful team. When our coach retired, the search was on for a leader to make sure the club kept going. I didn’t ask for the responsibility, perhaps because I was a writer and entertained my friends with stories I wrote when we were at school, maybe because I was always organised; whatever the reason, I naturally led them. I took on the daunting task of Player-Coach, Team Manager and Club Secretary simultaneously. At the start of every season, one of my many duties was to print and issue the club’s league fixtures and cup games. However, all the team members (bless dem), were forgetful souls. I soon got fed up of them asking me: “When’s the next game Norm, are we playing at home or away?” So to remedy the situation, I created a weekly newsletter called Panther News. In it were the club’s league and cup fixtures, what position we were in the league, some of my short-stories, a bit of local news and a black history section which I called ‘The Culture Corner’ – They loved it and they never asked me when the next game was again. This version of Panther News is dedicated to my Small Heath Panther brethren. We shared a lot of good times travelling up and down the West Midlands County and building a reputation of being one of the most feared and respected basketball clubs in the region; and when we meet up from time to time, we recall those happy days. 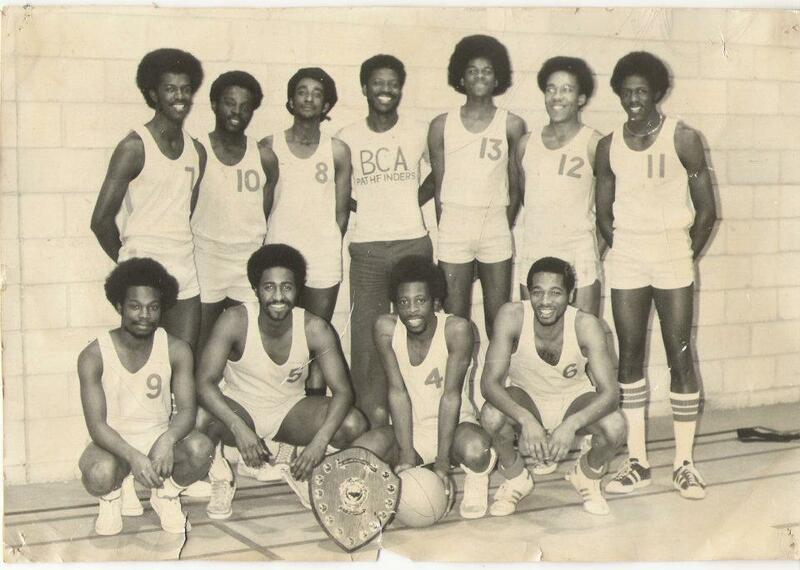 So to the original Small Heath Panthers Basketball Club, I salute you!